my wife and i have been planning out guilds for our fruit trees - fall sheet muching, cover cropping and spring planting. we are also very interested in good annual cover crops for over winter in zone 5b. any suggestions welcome! Matt Faulkner wrote: Hello from Westfield! I was very happy to see a forum here for those of us that live in Indiana. We have a small suburban property (roughly .20 acres), but I have been informally studying Permaculture Design and Edible Food Forests and I've caught the bug. I've been gardening for several years now and love it. 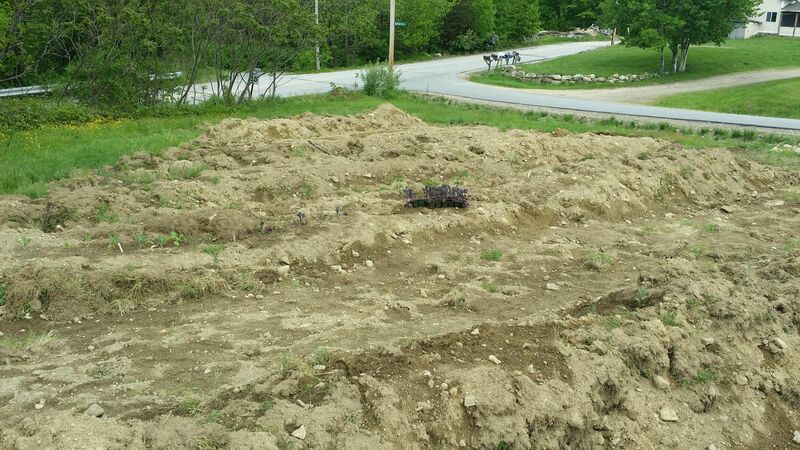 We have about 250 square feet of vegetable garden space, but this year we planted blueberries, raspberries, strawberries and three fruit trees (Stella Cherry; 4n1 Apple and a Peach). This fall we will be tilling up one whole side of our backyard so that I can plant an Almond tree, Plum Tree, Nectarine tree, two Pear trees (Bartlett and Asian) and two grapes around an arbor. I'm contemplating planting a mulberry tree and two sour cherry trees behind our fence as well. Next Spring, I will be planting some perennial vegetables (rhubarb, horseradish and asparagus) as well as all of the other shrubs (Nanking Cherry, Goumi and Currants) to go along with the Comfrey, herbs and wildflowers. I'll probably plant a few more blueberry bushes as well since my two girls love them! I built an herb spiral for my wife this summer and she is really looking forward to using it next spring. I'm very interested in learning more about any PDC courses here in Central Indiana as well as learning from all of you. While I will never give up my vegetable garden, I will be converting it to raised beds this fall and next spring as well as utilizing polyculture/companion planting techniques to hopefully create less work and more enjoyment for my family each year. I'm looking forward to attracting wildlife as well as beneficial insects to keep everything in balance. Please offer up any advice you have as I'm still new to this and I'll try to keep everyone updated on our progress while also uploading pictures as time allows. Jason Vath wrote: Just wanted to testify that potatoes do in fact favor Hugelkultur over traditional ground! The soil conditions were fairly similar - clay with some manure mixed in. What are you using for your cover crops? Kate Muller wrote: I am just getting started. We built these swales, hugleculture beds and a small pond in mid May. We rented an 11,000 lb excavator and a big garden building party. 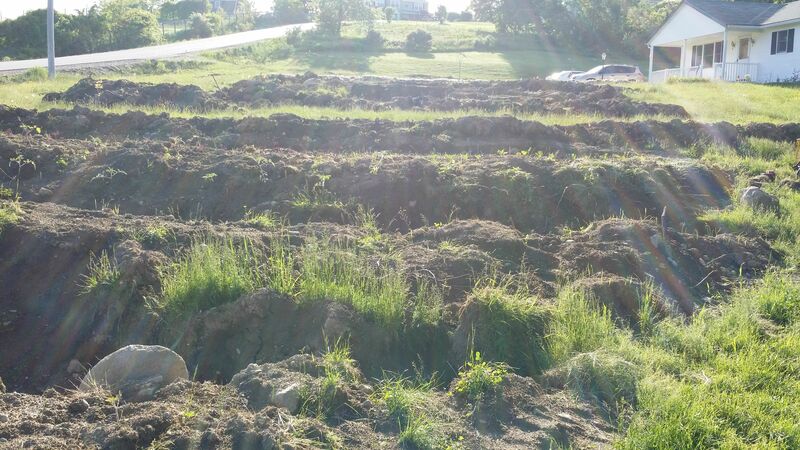 Here is our 224' long swale. It has 2 sweet cherries, 2 plumes, 2 peaches, and Asian pear, and an apricot tree planted in it. The cover crops are just starting to sprout in this photo. Here is the rest of the front yard garden. I am still cleaning up the beds and planting them. i would love to see photos of what you do to your lawn. injust got confirmation from jessica at diatomaciousearth.net that de will kill all insects. Just some helpful info for my Indy Permie friends! I have read where people say not to use DE around beneficials such as praying mantis' but then again I have seen people say that they have observed them being fine around DE. We have and use DE but are selective with its use in regard to insect control. To us it is a lot like insecticide in that it kills the insect, not that it is a chemical of course. (When I say 'we' I mean me and my wife) We try to have plants and beneficials to control the unwanted insects. Again, there appears to be a lot of confusion on this subject. I think there are benefits to using DE, not just for insect control though. I hope to see more responses here. I agree with some comments above about taking it slow and observing. We've been on our acre for four years. The first year we did do a little planting but I really tried to observe. 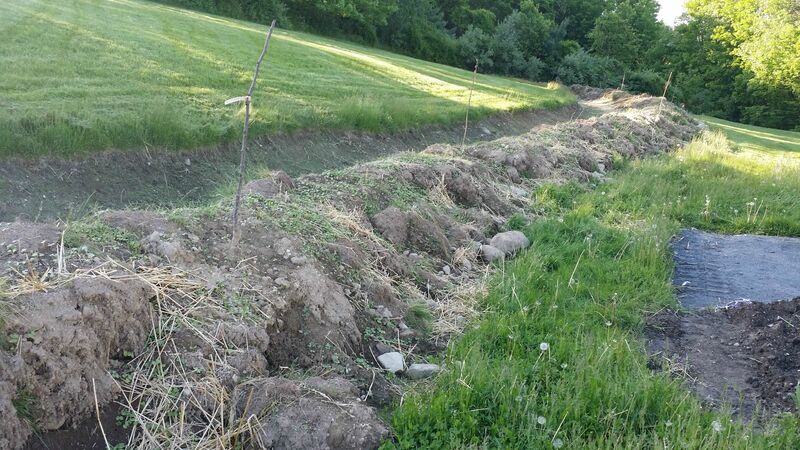 We now have planted about 41 trees and have four hugel beds on contour a la Jack Spirko style swales. Something you can do along with listening to big Paul's podcast and being one of his pod-people is to take Geoff Lawton's online PDC. I took it last year (2013) and it was a great experience. I think this years has already started but there is a wealth of information on his site in regards to videos if you haven't taken his PDC. I think it was like under $2000 and we got a library of his DVDs after the course was done. I should always get notifications of replies to this post now & I hope to keep it active. Hope more Hoosiers join it and we can do a meet up. I agree too that Indiana, IMHO is a perfect place for permaculture. The land and climate are already good for agriculture - so it MUST be GREAT for permaculture! Brittany Smith wrote: Hi Lauren! Glad to see another Hoosier here, too! I am in Avon, If you ever need any help on your land I would love the experience! Brittany - b.smith1287@yahoo.com please feel free to shoot a msg! I grew up in Avon! 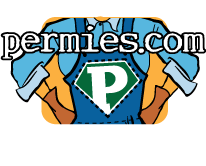 Are you doing any permy work on your land?